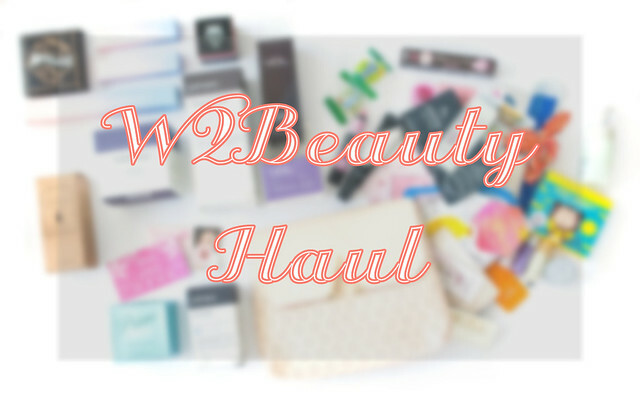 W2Beauty Haul | VDL, Primera, Etude House, and More! My friends and I are always joking about shopping bans, and how unrealistic they are. 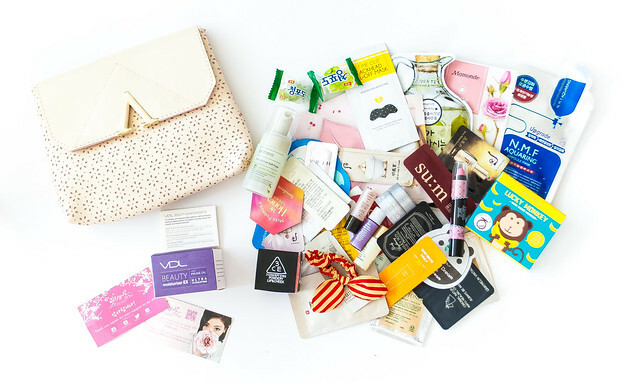 Beauty junkies, you know what I mean right?? Whenever a brand comes out with a new collection, and something catches my eye, I'm always super tempted to give it a try. 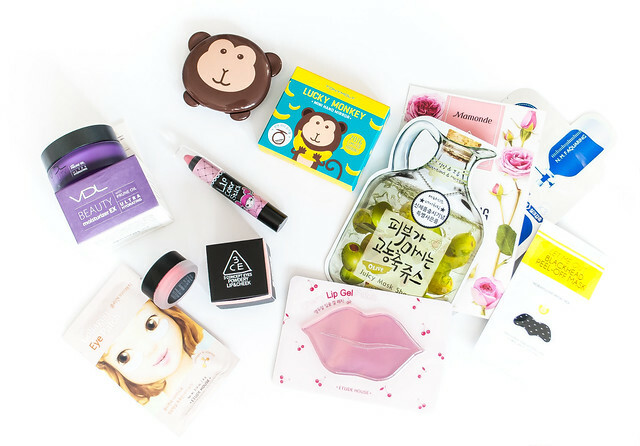 I'm proud to say that I was able to resist that temptation for 5 months, but now that the new year has come, I thought it was time to treat myself to a haul from one of my favorite K-beauty stores- W2Beauty. 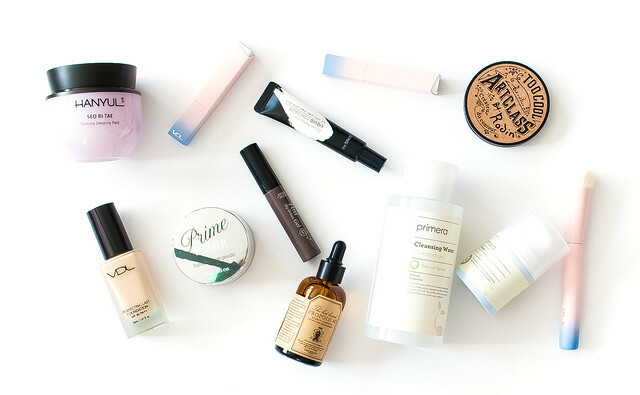 This haul is a mix of products I've been wanting to try for months, products I'm running out on, and newly released products that caught my eye. I'm really excited to show you guys everything I got, so let's get started with this haul post! 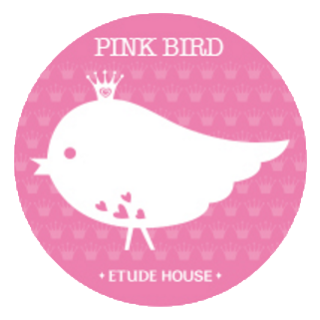 I'll be linking the product name and its price to the store, so just click on the link to be directed to the product's page. 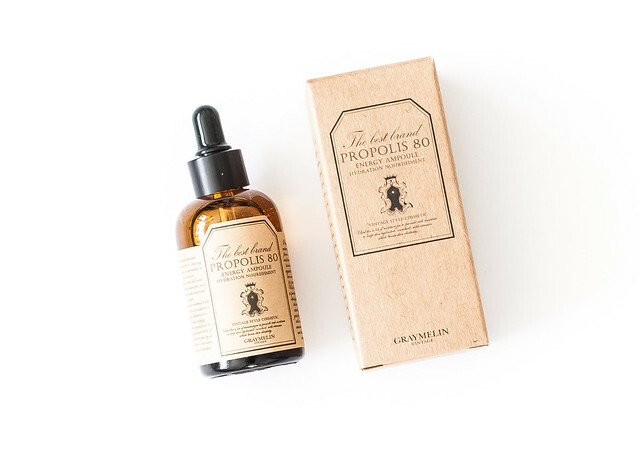 I had literally JUST ran out of my favorite Pure Heal's Propolis 90 Ampoule the morning the package arrived, so I was relieved that I wouldn't have to go a single day without a propolis ampoule in my routine. My friends know that I have a bit of an obsession with propolis, my all-time favorite when it comes to skincare ingredients, and I've gone through 3-4 bottles of the Pure Heal's one already, so I decided to switch it up a bit and try out the Graymelin Propolis 80 Energy Ampoule ($26.99) instead this time. I tried the highly raved LJH Propolis Ampoule before and was not impressed at all, so hopefully the Graymelin one isn't a disapointment! I tested it on my hand and really liked with the texture of it, perhaps it's a sign of more good things to come (I hope lol). I've also been more interested in cleansing waters lately, and decided it was finally time to start testing them out. 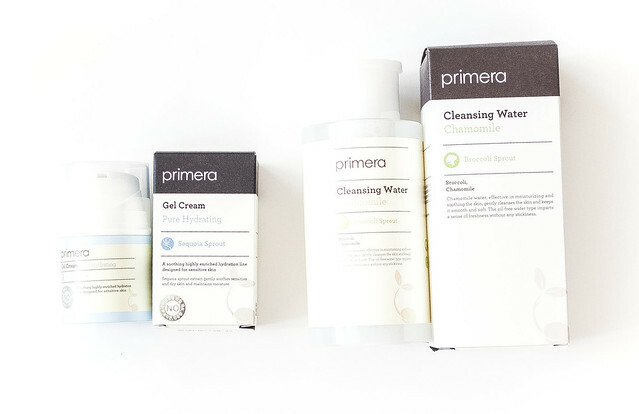 I was thinking of making a comparison post eventually of some popular Western cleansing waters and Korean cleansing waters, so let me know if you guys would be interested in something like that! 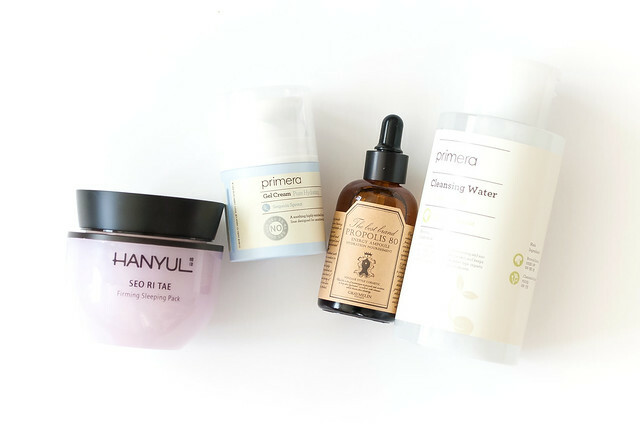 The last skincare product I got was the Hanyul Seo Ri Tae Firming Sleeping Pack ($36.89). I know I am nowhere near the age of needing firming products yet, but that isn't the reason why I got this! I've been really missing sleeping packs lately, since the last time I owned one was almost a year ago. I was originally thinking of getting a brightening sleeping pack, and then I came across this. 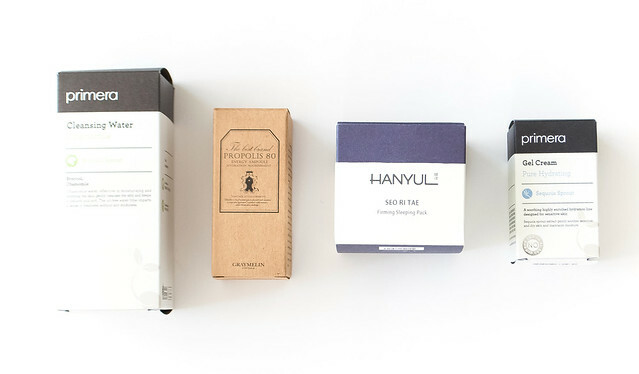 I know Hanyul's skincare is pretty popular and works fairly well, and this sleeping pack claims to have both anti-wrinkle and whitening properties, so I decided to give it a go in hopes that it'll help brighten up my dull skin. Moving on to the next part of the haul! 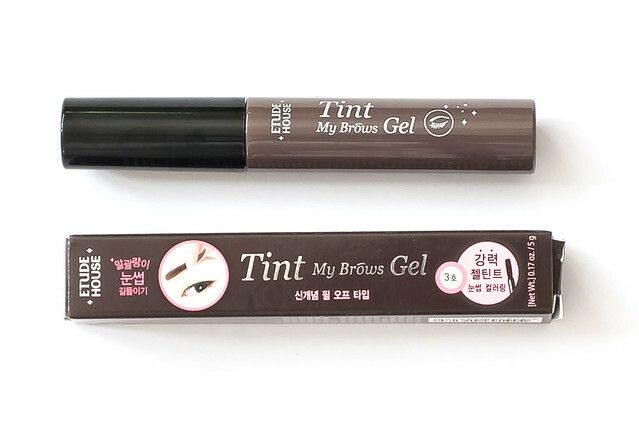 I got the Etude House Tint My Brows Gel ($11.84) after Marxie told me about it and I saw Etude's video on it. Actually, I bought it partly out of curiosity, and partly due to Marxie urging me to get it because she wanted me to test it out first (she thinks of me as her guinea pig I swear lol). I tried this one last night so I'll give it a few more tries before I write the review! I bought quite a few things from VDL! 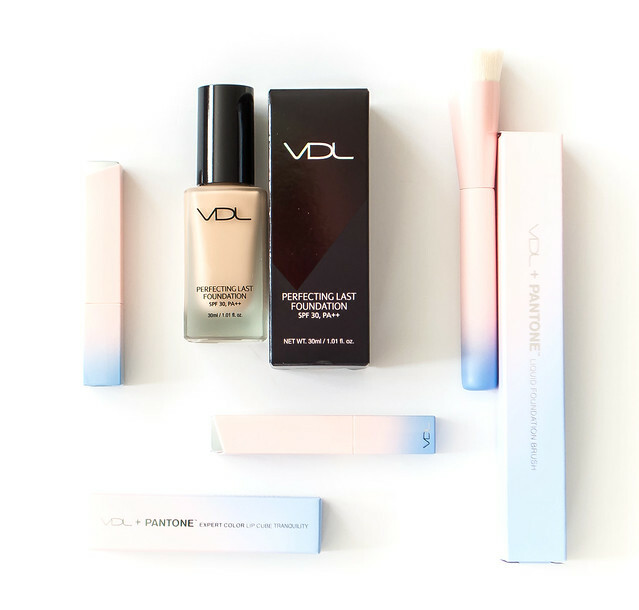 I've been using cushion foundations less lately and wanted to use liquid foundations again, so I got the VDL Perfecting Last Foundation ($34.21) since I heard quite a few good things about it. I also picked up three items from their new Pantone 2016 collection- the Expert Color Lip Cube Tranquility in shades 1 and 2, and the Liquid Foundation Brush. 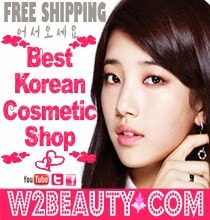 I asked Alice to help get this for me as a special order, so those items are not available at W2Beauty, but maybe Alice will add them someday! I absolutely love the 2016 Pantone Colors of the Year, Rose Quart and Serenity, so when I saw that VDL released a collection featuring the two colors I had to get something from the collection. The bad thing is I'm really tempted to buy the rest of the collection now, so for those of you who follow me on Instagram don't be surprised if you see a picture of the entire collection someday hehe. 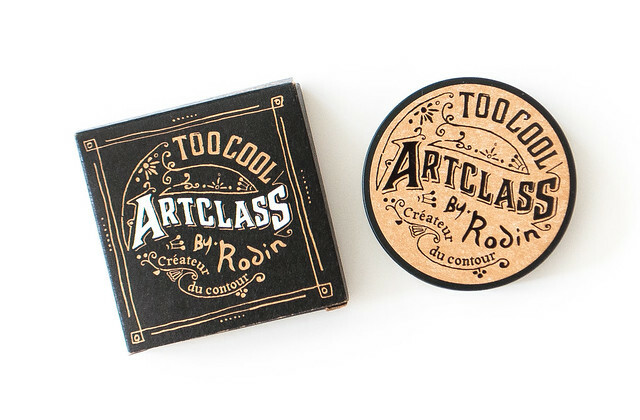 Last but not least, I got the Too Cool For School Art Class by Rodin Contour Palette ($20.89) because I've heard so many good things about this and I really regret not buying it when I was in Korea. 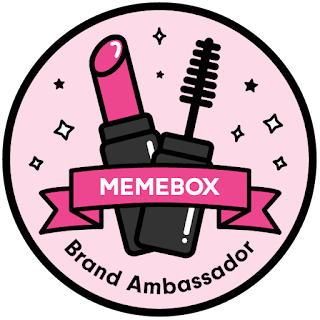 I want to learn how to contour, and since this palette was so highly raved by Korean beauty Youtubers last year, I thought it'd be a good product for a contour newbie like me. 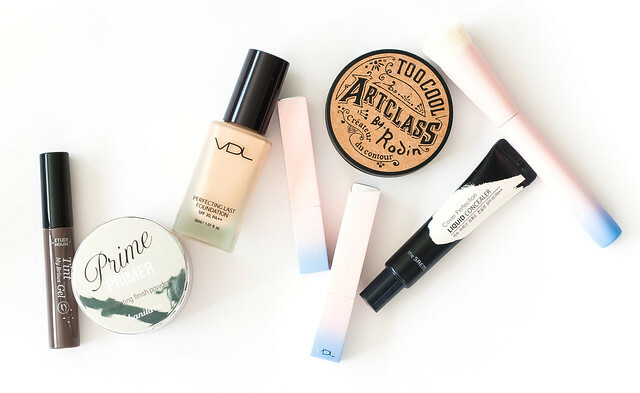 The VDL moisturizer isn't actually a full size, but it was almost the same as the full-sized one so it might as well be! 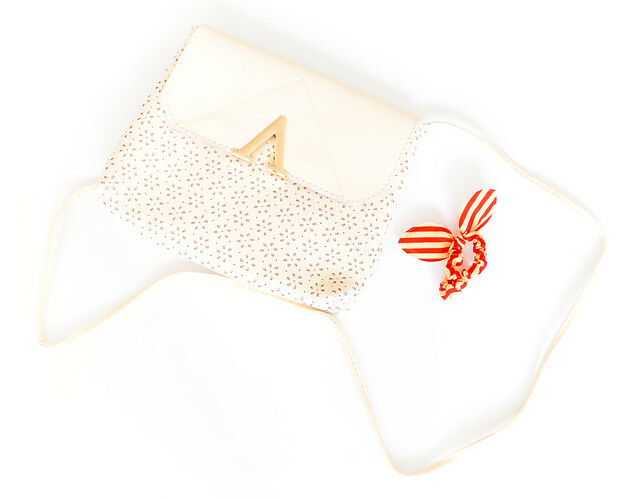 ... and even a cute crossbody bag and hair tie! While opening this package I felt like Christmas had come again, haha. And that concludes my haul! 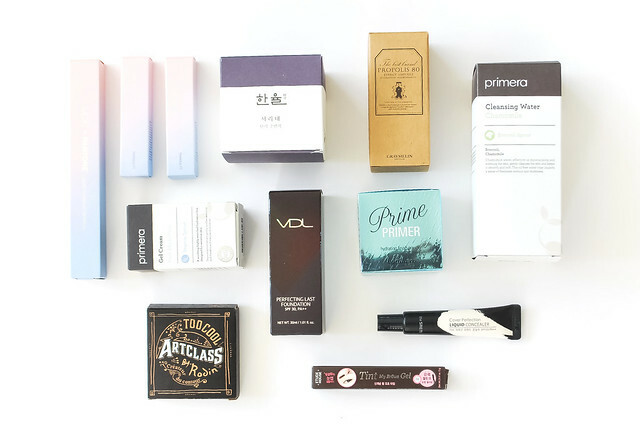 Let me know if you guys are interested in any of the products above and would like to see reviews for them. 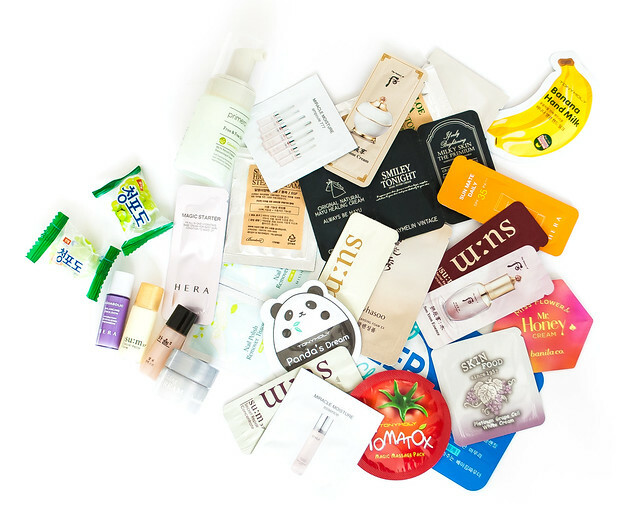 I'll definitely prioritize those products' reviews! If you're interested in placing an order at W2Beauty, first time customers can enter my code 04308009 at registration to receive a $5 voucher you can use on any order of $30 or more.